Tapped Strips slide in to a dedicated slot near the front of the Rail and are used to accomodate module fixing screws and are tapped to take M3 module fixing screws. 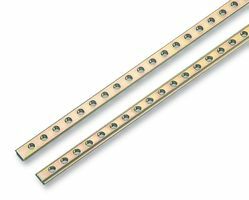 The design of the Tapped Strip allows them to be end-end stacked to make longer lengths than the standard 84HP length. 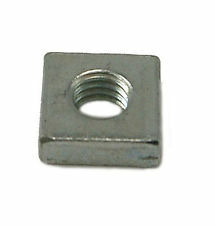 We can also supply M3 Square Rail Nuts and Tapped Strips with M2.5mm tappings. See 'Module Fixings & Blank Panels' for details. 2 pieces are required for each 3U section.